Following the inauguration protest on January 20, 2017, 192 individuals are being prosecuted for felony rioting in the District of Columbia as a result of actions taken by a handful of protesters and officers of the Metropolitan Police Department. The Office of Police Complaints addressed issues of police conduct in regards to these prosecutions. However, there is a more basic issue that is allowing these prosecutions to proceed. Statutes that are too vague make it difficult to discern the legislative intent behind them, and can result in police and courts wielding unlimited discretionary powers in enforcing those laws. Such a statute is section 22-1322 of the District’s penal code which aims to define the elements constituting a riot. While United States v. Matthews, 419 F.2d 1177 (D.C. Cir. 1969) rejected the vagueness challenge of D.C. anti-riot statute, we urge the District to make small changes in light of the mass arrest of protesters earlier this year. (a) A riot in the District of Columbia is a public disturbance involving an assemblage of 5 or more persons which by tumultuous and violent conduct or the threat thereof creates grave danger of damage or injury to property or persons. (b) Whoever willfully engages in a riot in the District of Columbia shall be punished by imprisonment for not more than 180 days or a fine of not more than the amount set forth in § 22-3571.01, or both. (c) Whoever willfully incites or urges other persons to engage in a riot shall be punished by imprisonment for not more than 180 days or a fine of not more than the amount set forth in § 22-3571.01, or both. (d) If in the course and as a result of a riot a person suffers serious bodily harm or there is property damage in excess of $5,000, every person who willfully incited or urged others to engage in the riot shall be punished by imprisonment for not more than 10 years or a fine of not more than the amount set forth in § 22-3571.01, or both. GLAA finds this language to be overly broad and allows for an abuse of prosecutorial discretion in prosecuting arrested individuals who engage in exercising their first amendment rights. For example, under the current language, a group of 5 of more people could be found guilty of riot if they engaged in a physical or verbal fight. Furthermore, participants engaged in a political gathering with banners protesting elected officials and stating that they will be put out of office would also fall within the purview activities described by section 22-1322. Finally, any assemblage of demonstrators or picketing, however peaceful, might excite a threat of tumultuous and violent conduct, and if this creates grave danger of damage or injury to property or persons (however “grave danger” is interpreted), the participants of the gathering would be in violation of the District anti-riot Statute. In short, any loud and violent conduct or the mere threat of such an act could make individuals in a gathering liable to the penalties prescribed by D.C. riot statute. We have reviewed the state laws for rioting for California and New York and find that the DC Riot Statute is highly inconsistent with rioting and related statutes in those jurisdictions. In regards to New York State, the language of the DC statute is divided between Unlawful Assembly, Inciting to Riot, Riot in the First Degree, and Riot in the Second Degree. Of these three violations, only Rioting in the First Degree is a felony. While in California, the language contained in the DC riot statute is divided between Unlawful Assembly, Inciting a Riot, and Participation in a Riot – all misdemeanors. GLAA acknowledges that at times there are individuals engaged in acts of vandalism and destruction of property during First Amendment assemblies; however, the legal justification to charge approximately 200 individuals with a felony when all the available evidence and witness accounts indicate it was a much smaller group of individuals actually engaged in such conduct cannot be left unchallenged. 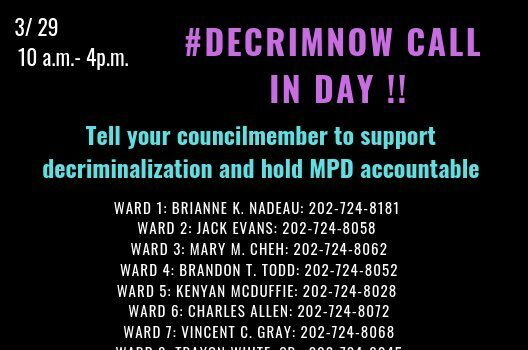 We, therefore, believe that the D.C. Council and mayor must take immediate action to revise the DC Riot Statute and accompanying penalties in a manner resembling the jurisdictions of New York and California in that the laws in these jurisdictions limit the amount of discretion in prosecutorial decisions by adopting a categorical approach to proportional sentencing.